Fashion Week has kicked off in New York and one of the first to unveil their highly anticipated Spring Summer 2015 ready to wear collection is Coach. They presented it yesterday, Thursday 4th September, in New York City and it looks fantastic! A sub-culture combination of music, skate and surf. Authentic work wear silhouettes of the mid-west. Exploring the tensions between utility and luxury, and street wear and luxury- a melting pot inspired by the spirit of New York. Cool and effortless ease with a sense of spontaneous freedom. I’m absolutely loving the pastel colour palette and the orange which is quite prominent in this collection. 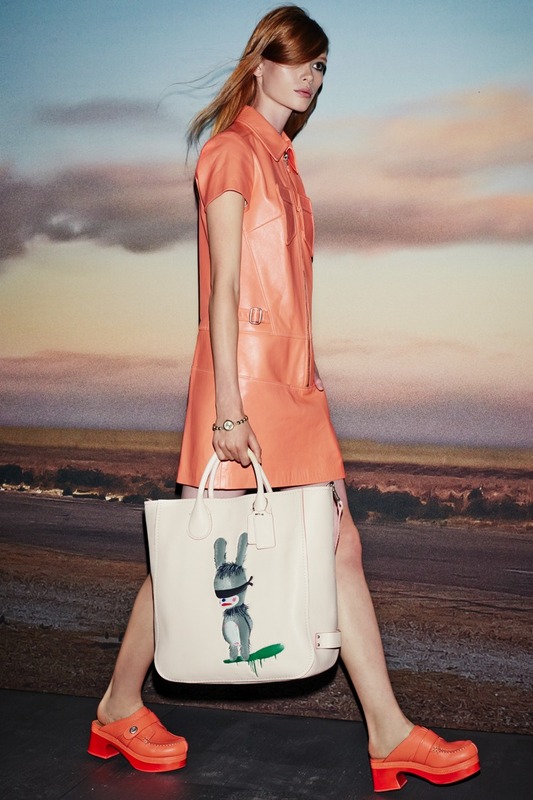 What do you think of the Coach SS15 collection? You can buy the current Coach collection online by clicking here. wow, this collection is soooo pretty, I love the candy colours, and the textures and materials, and I love the mini colourful skirts, and the faux fur pastel colours of the furry jackets!!! I want it now!